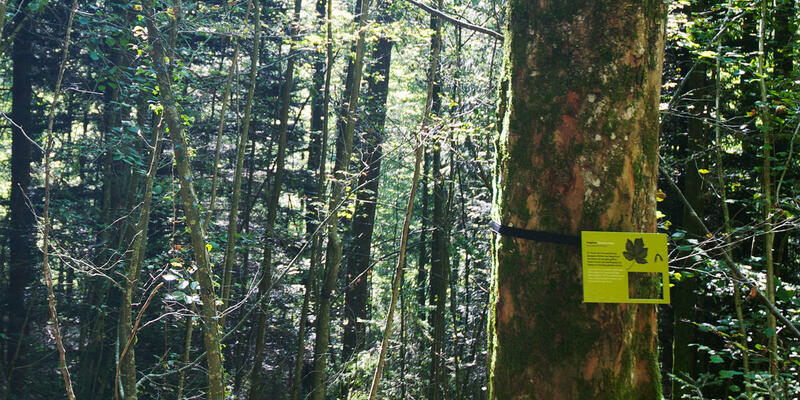 Peepholes awaken curiosity to explore the unexpected in the forest. 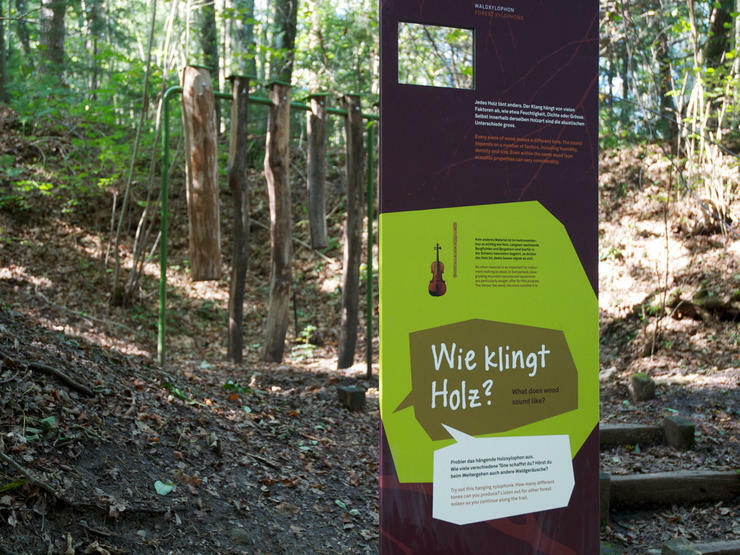 The concept "Einblick" captures the visitors' attention in a playful way. 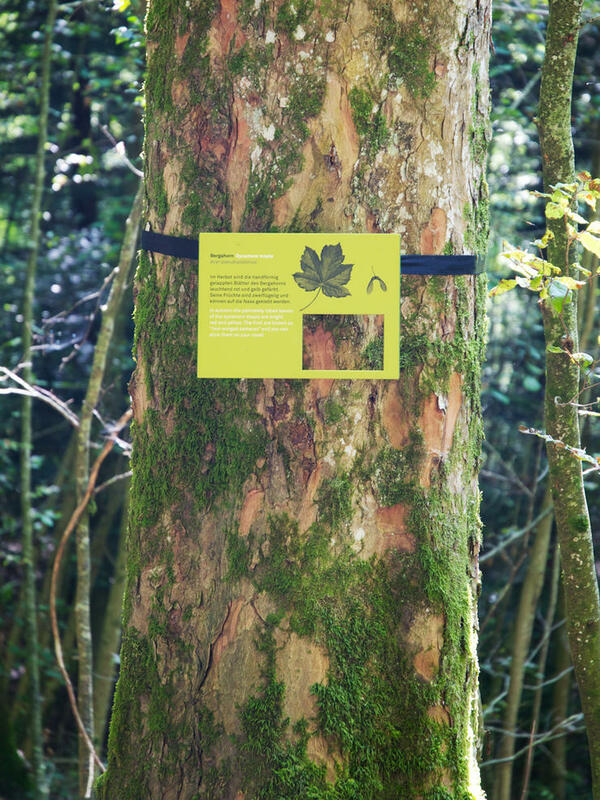 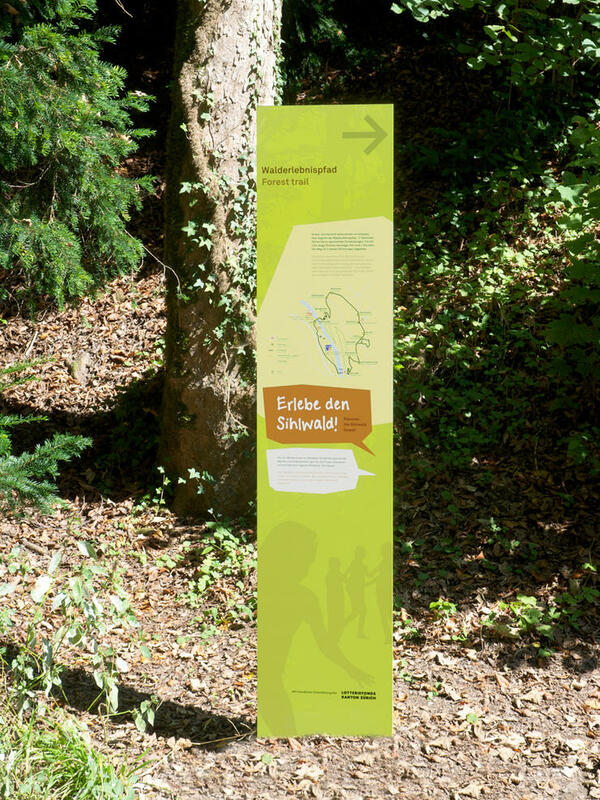 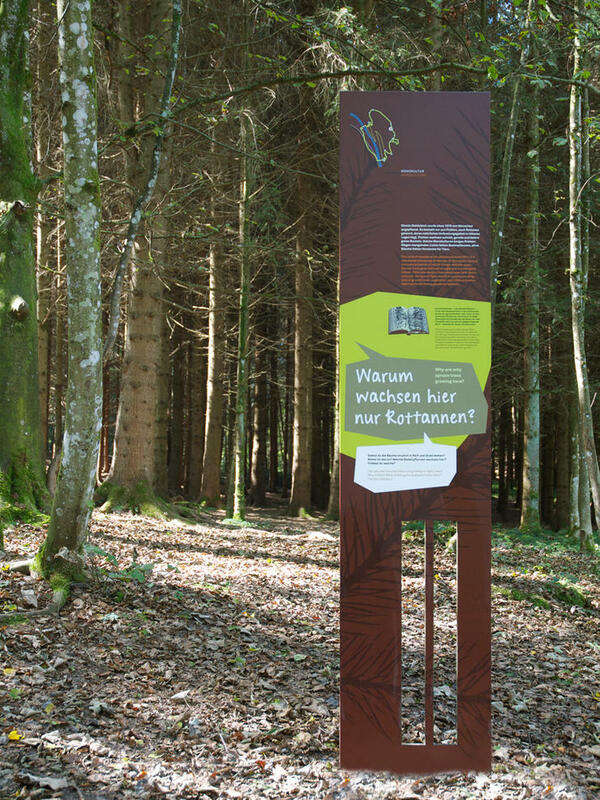 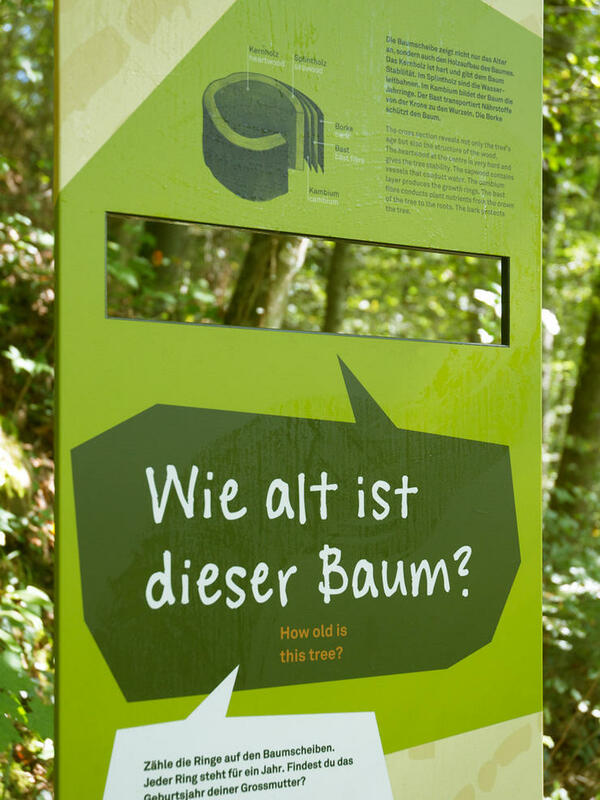 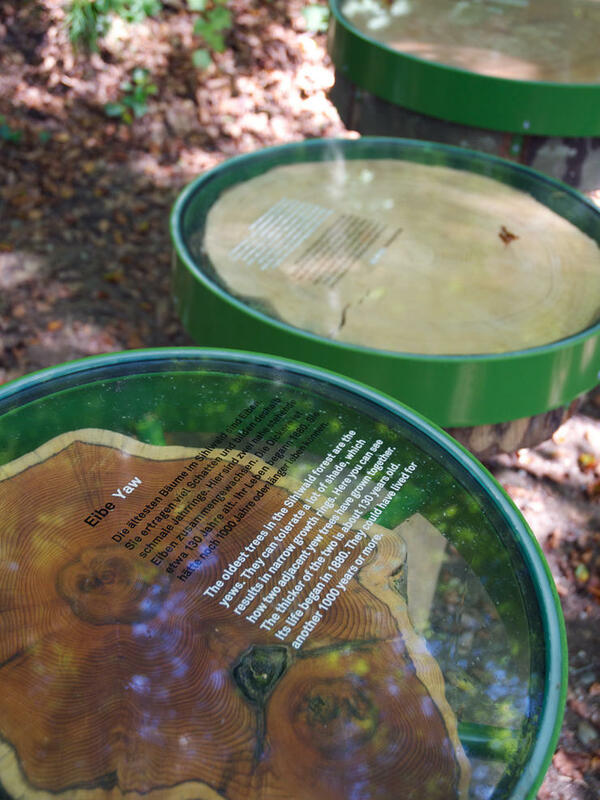 Each station connects the theme to the actual surroundings and asks visitors to find the answer to a question in the surrounding forest. 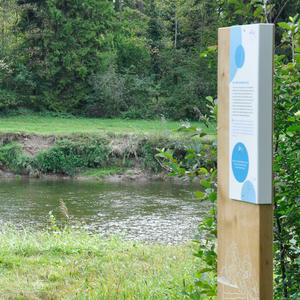 The colour scheme integrates naturally with the surroundings.